A beautiful shaped crossover wedding ring crafted in 18ct white gold, polished and part set with 34pts of sparkling diamonds. An enchanting ring to symbolise the start of your new life together. 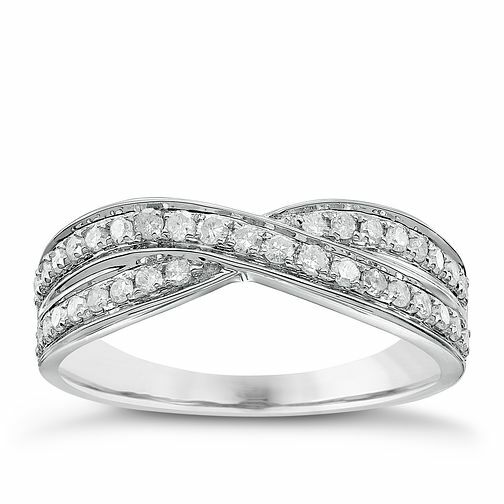 18ct White Gold 34pt Diamond Crossover Band is rated 5.0 out of 5 by 2. Rated 5 out of 5 by Anonymous from Beautiful ring Excellent quality. Stunning ring. Exactly as pictured.